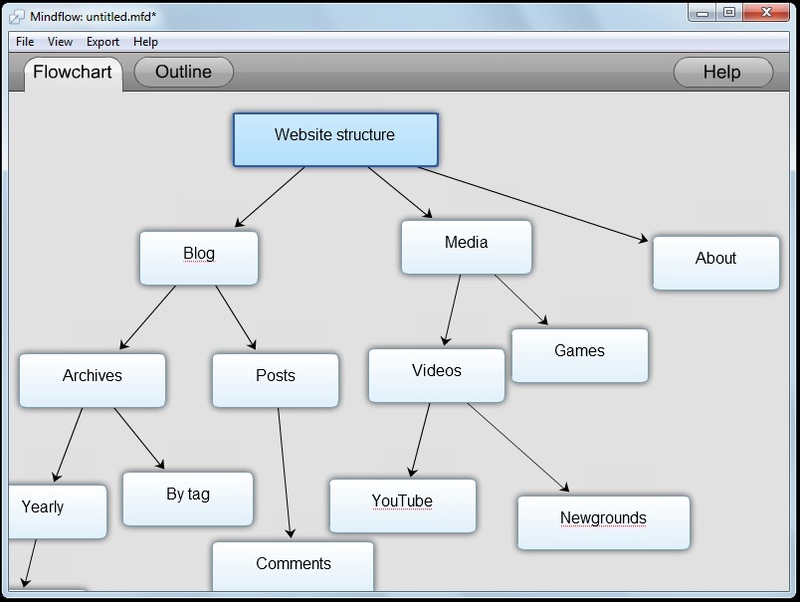 Mindflow is a simple but effective flowchart and diagramming application for Windows, Mac and Linux through Adobe Air. It is made to create a visual representation of your thoughts which you can then easily use in future projects. Adobe, Adobe AIR and AIR are either trademarks or registered trademarks of Adobe Systems Incorporated in the United States and/or other countries.